Dimension Auto Repair Frame & Unibody - Alignments...Point your car in the right direction with Dimension! Alignments...Point your car in the right direction with Dimension! Dimension is the go-to place for alignments and suspension repair in the Hackettstown area and surrounding! Dealers, customers and Body Shops bring their vehicles to the experts! Not sure when and if you need an alignment, we can tell you! Dimension has the most expertise on alignments and suspensions, combined with top-of-the-line equipment for the best alignment your vehicle can get! We always want our tires to wear evenly for the best safety while driving, but that isn't always the case. 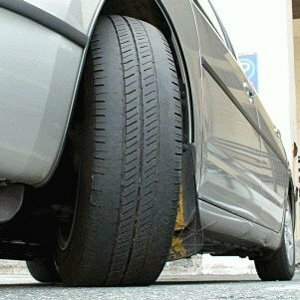 Tires can wear unevenly for many reasons such as overinflation, underinflation, poor alignment, worn shocks and/or struts or other suspension components, needing a rotation, etc. If you are noticing any uneven wear on your tires, make an appointment right away and we can help figure out any issues with your vehicle to help you get the best life out of your tires. You have recently hit a big pot hole, driven on poor roads, hit a curb, etc. Your vehicle is drifting to one side or pulling when you are driving straight. ALWAYS get an alignment when you put new tires on...whether two or four new tires! Twice per year is wise to get an alignment, or a maximum of every 6,000-9,000 miles. WHY GET YOUR VEHICLE ALIGNED?? Alignments increase your control of your vehicle, in steering, driving and braking. Safety first! Alignments at Dimension include a full check of all steering and suspension components for regular wear and tear. It can save money and headaches in the long run.